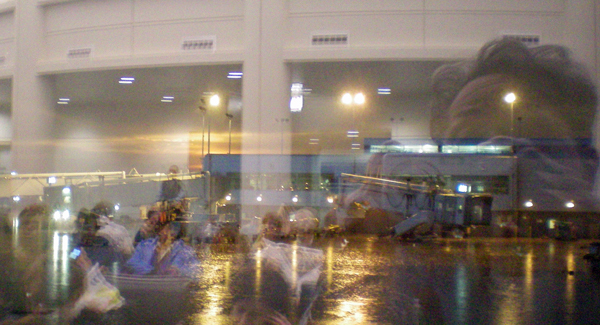 Dramatic and short thunderstorms create havoc with airline travel in the spring and summer months. Recently, my flight on the last leg of my trip home was delayed by one such storm. I took this photo sitting in Southwest’s new boarding terminal at Chicago’s Midway Airport , just as the storm ended and the sun, setting. A reminder perhaps, that behind every cloud there is, in this case, a golden lining. 31 May	This entry was written by Honoré and published on May 31, 2011 at 7:10 am. It’s filed under Authenticity, Connections, Honoré, Nature. Bookmark the permalink. Follow any comments here with the RSS feed for this post.